My eyes were closed. The scent of lemongrass filled up the room, I could only feel those gentle hands running through my back, up and down. 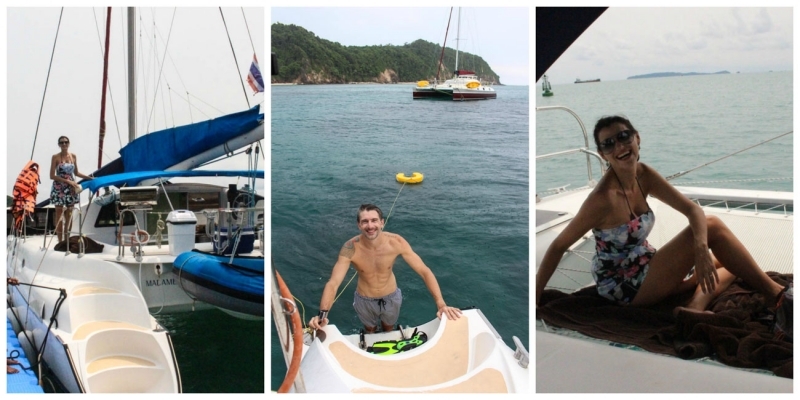 This was our 2nd trip to Phuket – Thailand, and we decided to do things differently. I asked myself, what to do in Phuket beyond being a beach bum? The answer was: many great things! The spa indulgence was only one of them! If you search on the internet “ what to do in Phuket ”, Google will give you a list of beaches, nightlife at Patong, ping-pong shows and boat tours around Phuket. That’s great, it´s a tropical island, beach and party are definitely Phuket top attractions. However, let´s go beyond this. Let’s discover what to do in Phuket that is unique, that can make your holiday unforgettable. Our first trip to Phuket was all about getting to know the beaches and yes, we stayed at famous [or infamous] Patong Beach. The second time we choose another approach, we pampered ourselves, we did cultural stuff and had a completely different experience. Now we know some of the best things to do in Phuket, and we want to prove that even a super touristy and famous destination can be surprising relax, tasty, and still unspoiled. It’s time to share with you what to do in Phuket beyond Patong Beach, top attractions, best hotels, where to stay in Phuket, how to get around Phuket, our personal recommendations and of course, the best beaches in the island! So, what to do in Phuket that is unique? 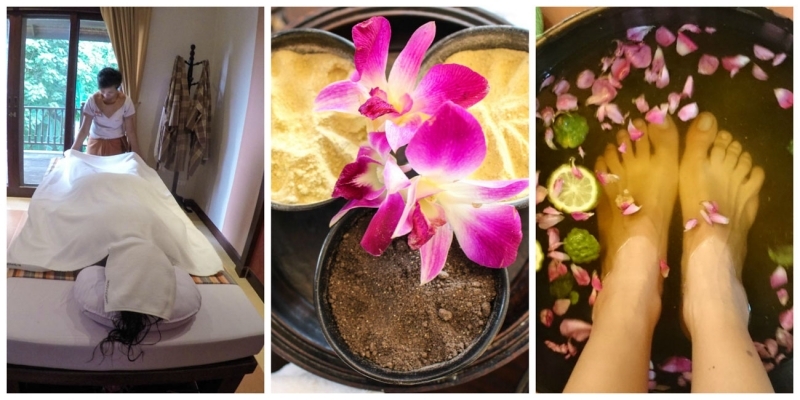 I´m a massage lover, and in Phuket I discovered that I´m a Spa junkie too! There is nothing better than be pampered for hours, scrubbed and soaked from our head to toe. Even Rob [not a big fan of spa] had a blast. We went for the three hours “Get Glowing Treatment” at Sukko Spa Resort and the result was relaxation to the highest level! Sukko Spa is surrounded by green, with swimming pool and a smiling staff. From the reception to the goodbye I was treated like a princess. We got to choose the scent of our mud scrub, the oils for our massage, and to wrap up the session a tea with tropical fruits. There are many options of Spa in Phuket, we went to Sukko Spa and loved it. Their attention to details, the massage therapist and the whole place was sublime. If you are in the Island and don´t know what to do in Phuket on a rainy day, remember my words: Go to the Spa!!! Our second trip to Phuket was all about scents and aromas. The cooking Class was the pinnacle of it! Lemongrass, chilies, ginger, turmeric and many more spices. The cooking class in Phuket is unique because food in southern Thailand has a different twist and is spicier. At Blue Elephant Cooking School they taught us traditional dishes from Thai Royal Cuisine. First we visited the local fresh market to learn about the ingredients. Second step was to follow the chef’s instructions and cook three different dishes: red curry with crab meat, green curry with soy protein, and catfish floss salad. We cooked them from the scratch, first prepared the curry paste, then the proper dish, and later we had a feast. I have to say, my green curry and my salad were yummy! Mouthwatering food! 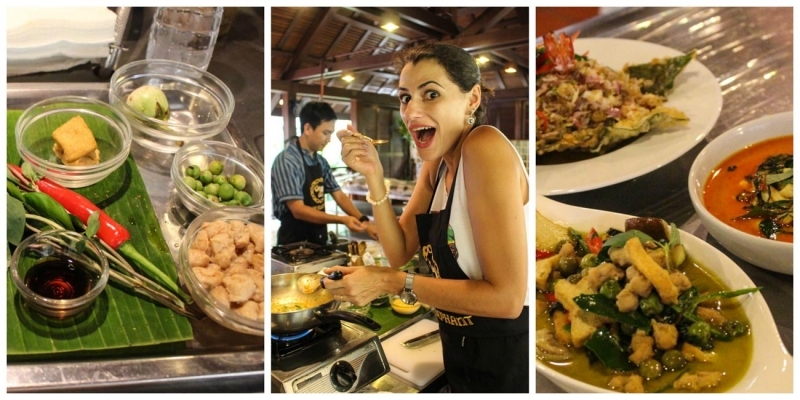 The cooking class is another activity that you can do in Phuket on a rainy day. If cooking is not your thing, go to the Blue Elephant at least for a lunch or a dinner. The place is gorgeous, the cooking school and restaurant is in a historical Sino-Portuguese mansion built 100 years ago. Surrounded by a huge garden the house itself is one of the top Phuket attractions. 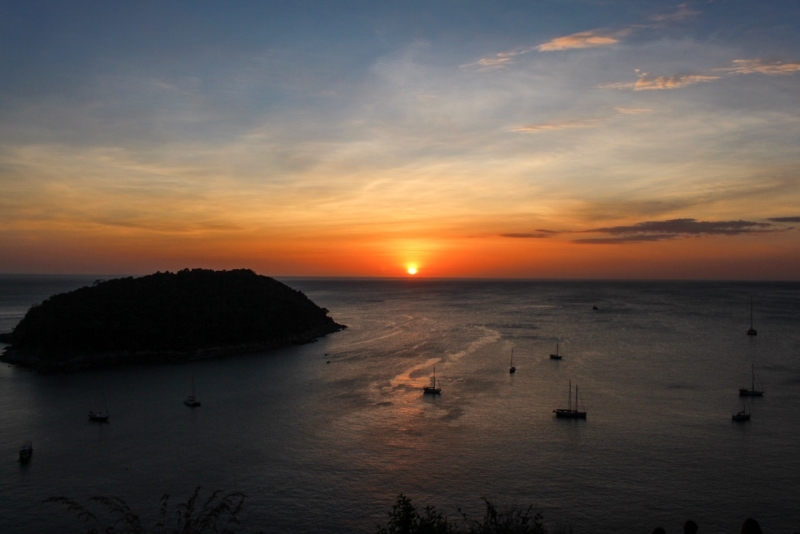 Sunsets in Phuket are always a spectacle, but if you want to see the best one go to the Phromthep Cape! I know, it´s a famous attraction in Phuket, and it’s gonna be packed. But the truth is: this is the best Sunset in the island. However, if you are like us [people who love to watch sunsets alone], you can follow our suggestion and go to a different spot. 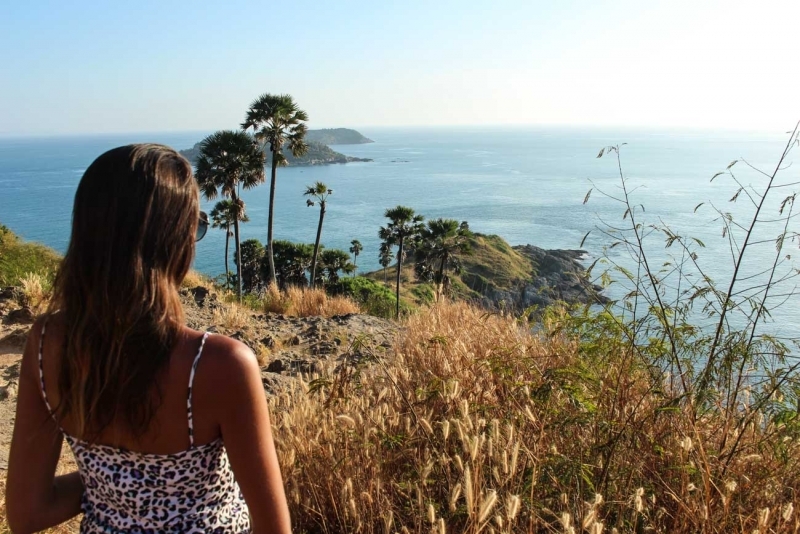 Not as popular as the Phromthep Cape, the windmill viewpoint, along the road that connects Yanui and Nai Harn beaches, is a great spot. Sit, relax, enjoy the view and drink a coconut [or a beer]. Also, don’t forget to bring your driver license, even better if you have an international one. To help you organize all the essential travel documents, we put together a document checklist for international trips, follow it and have a stress free holiday! Travel to a Thai Island and skip a boat tour is the same as going to Roma and not visit the Vatican. Said that, go and book a boat tour around Phuket! There are plenty of offers, companies and routes. And it´s hard to say which one is better. It all depends on what you want to see in Phuket, what type of experience you want to have and your budget. Have a look on Tripadvisor for some reviews. If you fancy some serious snorkeling go to the Similan Islands. If you don’t have time to stay in Koh Phi Phi and visit Maya Bay, you can do a speed boat tour from Phuket to there [be aware that is a long journey and can be a bit tiring]. Or if you want to relax, enjoy the nature, have a good lunch and swim, choose a boat trip around Phuket island. We did the boat tour with Dolphin Seaways and despite the bad weather that hit us halfway on the tour we had a lot of fun. The water was so clear and warm that the rain didn’t bother us at all. Still talking about unique things to do in Phuket [beyond beautiful beaches], take at least half a day of your trip to visit Phuket town. There you will find an interesting mix of Chinese and Portuguese architecture, dragons and Buddhist temples along with tiles and colonial buildings. Phuket town is also the best place to buy souvenirs, enjoy local cuisine at cheap and nice restaurants. If you are visiting the town by scooter, park it near Dibuk, Krabi or Thaland roads and walk around. At night time this part of town comes alive. The famous Phuket Street Market opens every Sunday from 4pm to 10pm on Thaland Road. You can’t miss it. In case you want to join a private tour we recommend this one around Phuket Town. Now that you already discovered what to do in Phuket that is unique, it´s time to talk about beaches! Oh yeah baby!! As much as we love culture, food and architecture, good beaches are still our priority when travelling to an island, and in Phuket wouldn’t be different. Phuket is big. In our two trips there we didn’t visit all beaches but explore some nice ones. If you follow our suggestion and rent a scooter, it will be easy to go to the best beaches in Phuket and even find new ones. Our routine was: wake up early, breakfast, pack some fruits and our snorkeling gear, hit the road. Most of the days we would be back to the hotel around 9pm, exhausted and happy! 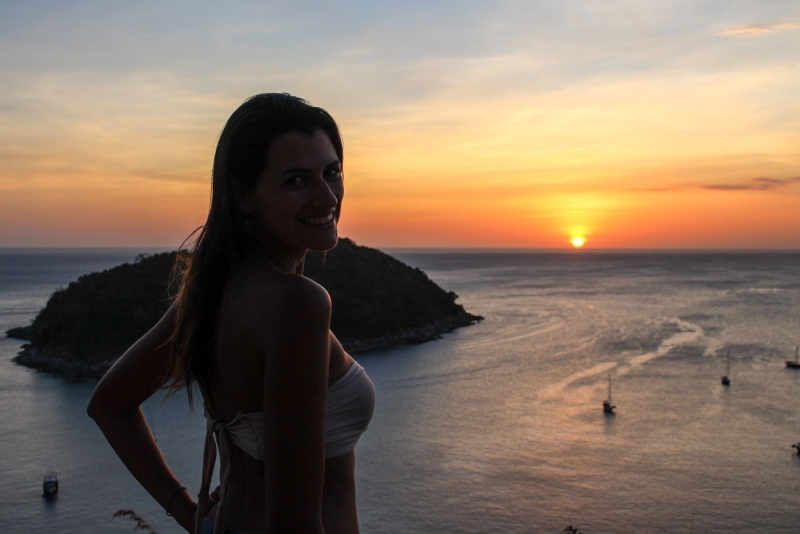 » Nai Harn Beach – Our Favorite! Small beach, not so urban [yet]. There are few hotels around and luxury condos, but the beach it´s still green with super clean water. Our favorite beach in Phuket, not many tourists around. Between Patong and Kata Beach, Karon has good sea, squeaky clean sand, but it’s not as crowded as its neighbors. Long beach with turquoise sea. Famous for the dining and nightlife scene, it´s the second most touristic beach in the island. A small version of Kata Beach, this tiny place is quieter and mostly frequented by the resort´s guests. Can be tricky to find it, but worth a visit and a swim. It´s a 2-kilometer beach quiet and preserved. You won’t find public facilities there, only a few bars/restaurants. The crystal clear water, the rocks and the pine trees create a perfect place to relax! Part of this beach belong to the Sirinath National Park, so remains unspoiled and very quiet. The other part is more developed with bars, restaurants and kite-surf school. The food is cheap and the vibe is great! This is the address of the luxury resorts in Phuket, and still preserved. 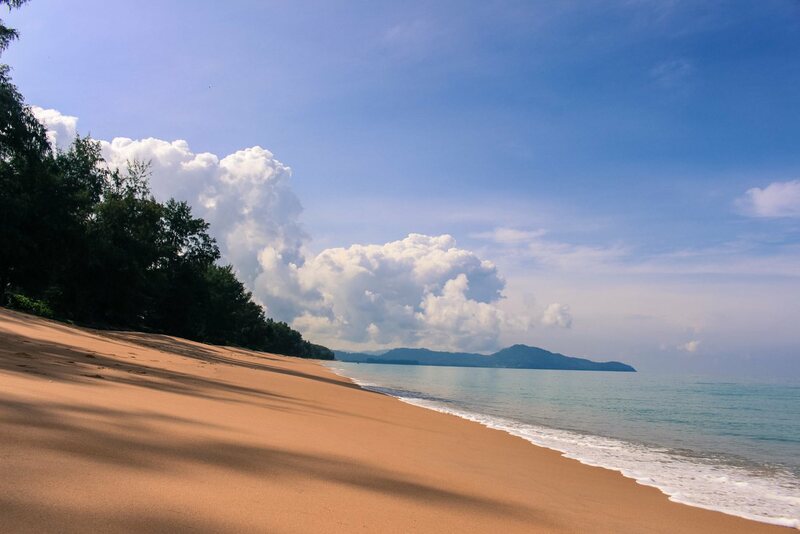 Mai Kao Beach is 11 kilometers long with golden sand and blue sea. Amazing and unspoiled! 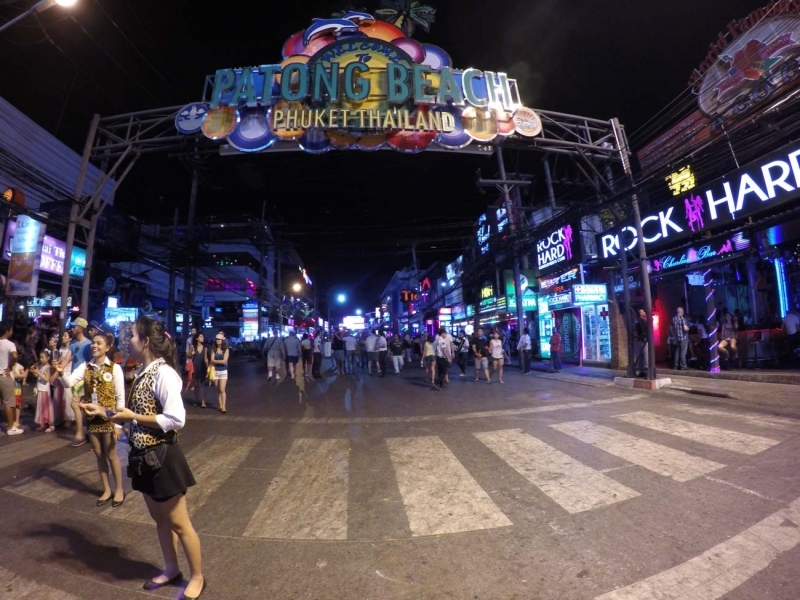 Patong is crowded, full of tourists, water sports, bars, night clubs, restaurants and shops! Love it or hate it! You must go there and see it with your own eyes. I always say that Patong is not as bad as most of people think, but of course it’s not the best beach in Phuket. The good side is that in Patong you can find everything you want and need, but along with all the facilities come the noise, the pollution, the drunk people, the ping-pong shows and prostitution. If you are on a tight budget, or you are looking for a party, this is the beach you should be. Nice and cheap hotels are well spread along the beach. Western food, Thai restaurants, and food stall are in every corner. The party scene is huge. Not ashamed to say that on our first trip to Phuket, Patong was the place we choose to stay, and no regrets. From there we could reach all the other beaches, we got a good hotel deal also had great nights out. It´s a 45 meters tall white Buddha made by marble. You can see the statue from almost every part of the island. The view there is stunning, but don´t forget it´s a religious place, so be respectful! It’s the most visited Buddhist temple in Phuket, it was built on 19th century. If you want to understand a bit more about Thai Buddhism here is the place to go. It´s a mix of fun fair, shops and Thai dance performance and elephants. Definitely not our cup of tea. Stunning Ladyboys, amazing choreography and fun! The show is always packed, so better to book a table in advance. Seafood with a view! 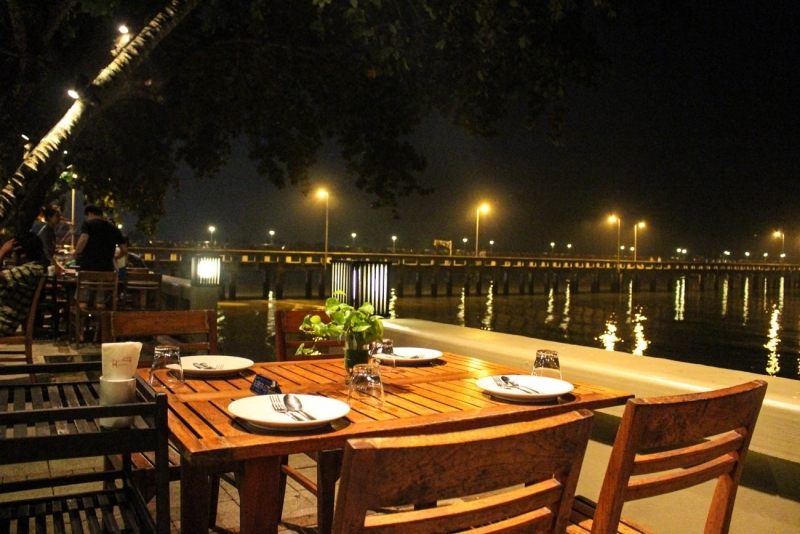 Perfect for a nice dinner, the restaurant has an open area in front of Chalong Pier. If you like seafood here is a good place to taste it! One of the best restaurants we visited in Thailand. A brilliant twist between Thai food and Western dishes, everything so fresh and tasty. Hard to say what we liked the most: the lamb, the duck or the wine selection. Perfect for a romantic dinner! If you are in Phuket town and want to try local food in a cozy atmosphere go to Raya Thai Cuisine. Not as cheap as street food, but the flavors are worth every penny. The deep-fried fish was delicious! Where to Stay in Phuket? In which beach? If you type on Google “Where to stay in Phuket” the avalanche of results will drive you crazy, and it´s a hard task to choose the best hotel in Phuket, or the perfect match for your trip. Don´t panic! We gonna give some info about accommodation in Phuket and the best websites to book them! Easy peasy! Patong Beach and Phuket town are the best places for cheap and comfy hotels, from shared rooms to big private apartments. There you also find expensive resorts, but If you are looking for luxurious places, there are better beaches to stay. On our first trip to Phuket we stayed in Patong, at the far end of the beach towards Simon Cabaret and Karon beach. Nice hotels, fair price and not as busy as the center of Patong. 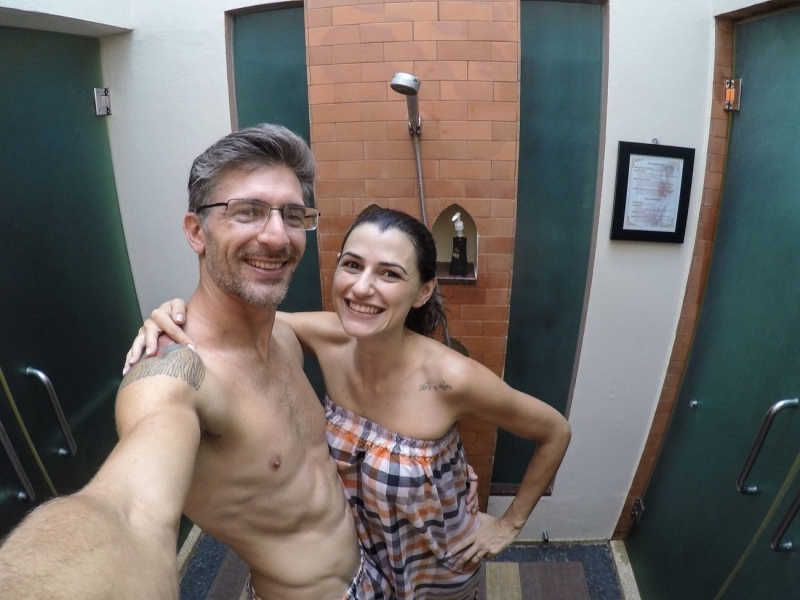 We stayed at Happy Fish, a guest house managed by an Italian guy. Bright and big rooms, air-con and a balcony. Good coffee served on the shop beside the reception. Another option is Mazi Design Hotel. With a swimming pool and restaurant, it has big rooms, wifi and proper hotel feeling. It was refurbished this year after our stay there, so I bet it’s even better now. For the best budget hotels in Phuket we recommend you to look at Agoda or Booking.com. Also you can find budget or middle range hotels in Kamala Beach, Karon and Kata. Phuket has the best luxury hotels you can imagine and want! Mai Kao Beach is the address of hotels like Renaissance, Outrigger Laguna Phuket and many more. Our pick for a luxury and memorable stay was Sala Phuket. The hotel is beyond superb! We got our private villa with swimming pool, garden, open-air bathtub and a room that has all the comfort you need in a modern style. Love it! Not only because it is luxurious, but because they pay attention to all details. Fruits and fresh tea delivered to your room every night. Signature organic soap, body lotion and shampoo; buffet and a’la carte breakfast, movie sessions in the garden… Plus all the amenities you expect from a 5 stars hotel. 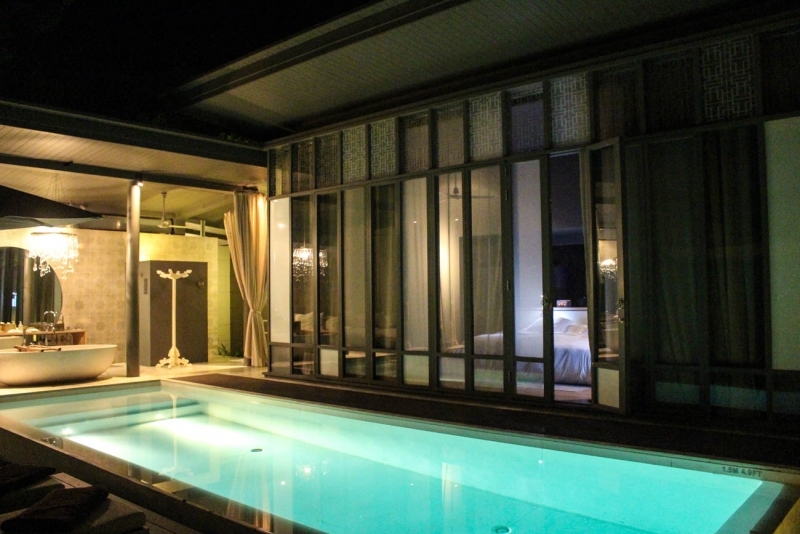 We super recommend Sala Phuket, the only problem is that the hotel is so good that we didn’t want to leave our villa. 😉 BOOK YOUR ROOM NOW! Phuket is one of the most famous destinations in Thailand, and also one of the biggest island and cities in the country. It means that you can arrive there by boat ,flight or bus! The airport is international, with flight connections from all over the world. For the best flight deals check out Kiwi and Skyscanner. To book train, bus or boat tickets we recommend 12GoAsia. The island is on the route of many cruise ships, but if a cruise is too upscale for you, there is a bus service from/to Bangkok everyday. You see, no excuses to not visit Phuket on your next trip to Thailand. And hurry up, this tropical island is waiting for you! If you like this post, so Pin it for later! Have you visited Phuket? Planning a trip? Now you know what to do in Phuket, top attractions, and unique things. Go for it! PS: Thanks Thailand Tourist Authority for helping us to discover unique attractions in Phuket. Despite who paid the bill, you always receive our personal opinion. Also, some of the links on this post are affiliated, what means if you purchase something, or book a hotel through here you are helping us to run the blog. Thanks! Great post! I’m heading to Thailand next year so I’ll definitely be saving this and coming back to it nearer to when I go so that I can keep some of these things in mind! Hope you guys have a lovely Christmas and a great New Year! Have a great Holiday season!!!! Glad you liked the article guys! Have a wonderful holiday season too! Thailand is one of my dreams! Thank you for sharing this post! It shows that there is no ‘too much touristic’ place until there is a not-too-much-tourist traveler! Did u write Any other article of this kind? I’ll have a look in the blog! Very good job! In most of our articles we try to show some unusual spots. Spent a month in Thailand this year but didn’t get a chance to visit Phuket. It’s nice to see the other side of Phuket. We rented a scooter in Ao Nang, Thailand for the first time and agree that it is a great way to navigate any island. One more reason to return to Thailand!!!! Thanks for sharing this guide! I prefer doing the more “unconventional” things when visiting a city and you have some great suggestions here. I’d LOVE to do the cooking class and learn how to do a proper curry. I also like your idea with the motorbike! For sure its the best way to more around Phuket. Already planning to do another cooking class! 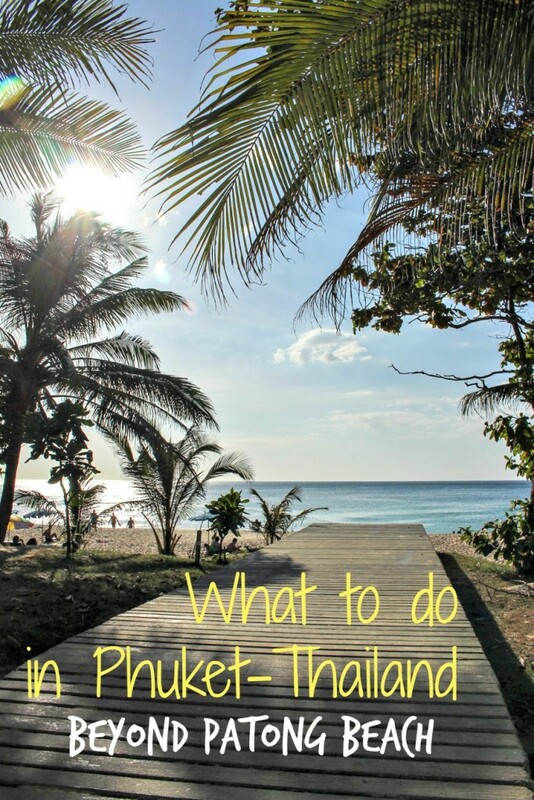 I really loved reading about all there is to do in Phuket. To be honest, I am not a beach person at all. I can admire its beauty, but that’s about it. When I planned my trip to Thailand, I went north and east instead of south because of this. I would visit to enjoy the local scene, the cooking classes, the spas, and even the ladyboy cabarets! Thanks for showing there is more to Phuket than sun, sand, and sea. If you like trekking there are some trails in the island too! I’m like you too!! I don’t like bathing in the sun but I can definitely admire the beauty of it. I prefer to do other things than just laying around just tanning and drinking. So happy to hear there are others like me. Amazing guide! I am currently planning a trip to Phuket and will definitely follow your advice on a luxury spa experience! Sala Phuket looks like an incredible spot to stay as well. Thanks for the recommendations guys! You are Welcome Andrea! Sala Phuket is incredible! Make sure to include Phuket on your next time in Thailand! Gonna love it! 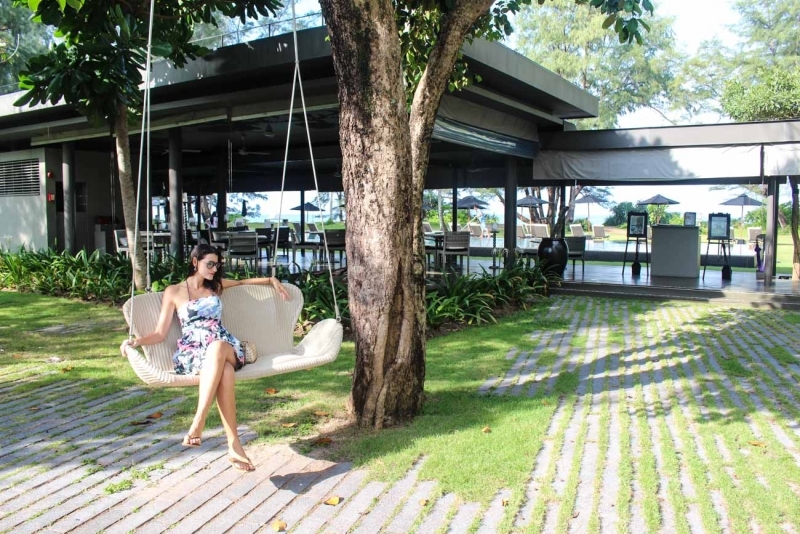 I am not all that keen to go to Phuket, but the way you put it, it seems possible to maybe avoid the things of bad repute and pamper yourself…Who doesn’t love a bit of that. For sure, beaches & Spa? I’m in! I will have to save this. Besides me I know many others who want to visit. Good to know what else there is to do there. And please, share the love for Phuket. Most of people do´t know how beautiful this island still is! Thailand is truly an amazing place that’s full of surprises. Phuket may be one of those well-visited destinations there but there are still activities that can be done there that’s out of the throng of tourists. Glad you guys had a great time! You are so right Aileen! Even a touristic place can be quite, unspoiled and nice, you just need to look further! Just when I’m planning our Thailand trip 🙂 Will deffinitely take your advice on most of the things, thanks for the great tips. That´s awesome to know!! Hope you have a great time here in Thailand! Enjoy Phuket and the islands, but also come to the mountains, Chiang Mai is a really nice city. We have been here for the past two month and enjoying it a lot. Last week we publish an article about trekking in the mountains and roasting our own coffee here in Chiang Mai, a really cool experience, you should try! All he best and safe trip! I also rent a motorbike every time down in Phuket – just need to be super careful as the roads are the second most dangerous in Thailand and full of (often inexperienced) tourists. Only Koh Samui has a higher rate of accidents. It looks amazing! I really hope to visit Thailand one day. I’ve only taken 450 selfies plus nature shots in that same spot as your first shot. Stop by it frequently on my way to Nai Harn. Glorious views. Phuket is my fave place on earth. 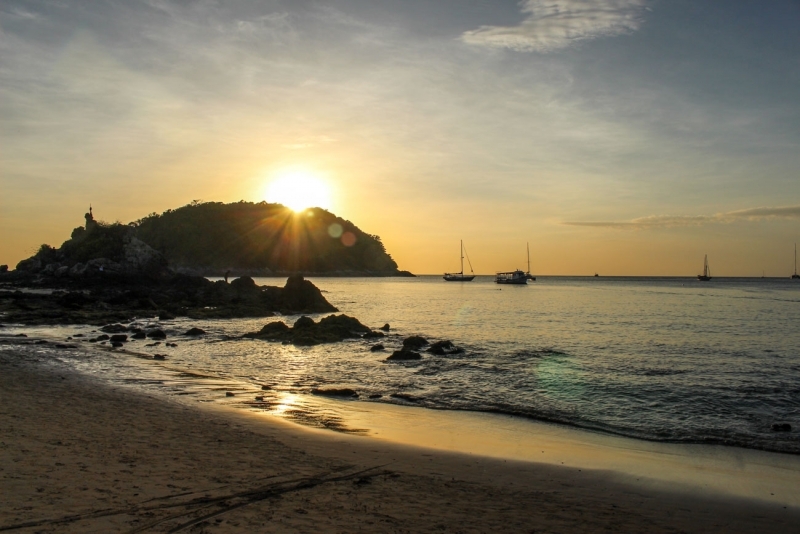 What a coincidence, Nai Harn is one of our favorite beaches there too! Great Share!! I went to phuket and I really enjoyed.The spa was amazing ..The underwater aquarium was wonderful,really enjoyed very much..One of the best experience. Great that you have a good time in Phuket! The islands has many attraction for all types of travellers! I am now in Patong. The low season has just started. This is particularly noticeable on the streets and in the bars. Nevertheless, it is still very beautiful here. The advantage is, hotels, beaches and food is now cheaper. Travel in low season is a smart move, everything gets cheaper and less crowded. Glad you are enjoying Phuket! Thailand is a my dream. Will definitely take your advice on most of the things, thanks for the great tips. Thailand is one of our favourite places! Absolutely amazing! I hope to visit Thailand next year. Natalie Deduck! Your post is really helpful. I am traveeling in december. Looking to stay near Nai Harn beach. I’m sure you gonna love Nai Harn beach, it is one of our favorites in Phuket!! We want to visit Phuket next year for a small retreat and we love the idea of snorkelling!!! I also can’t wait to explore local restaurants and do some running across local markets! Phuket has so many attractions you gonna love it! I love this post! I’m planning a trip for September this year! My 2nd time back there! How can I contact you for more information? Glad to hear that you liked the post, Phuket is a great destination. Phuket is definitely much more than Patong Beach! Great article, thank you for all the info, I will definitely try to see as many possible. 1- is the Sala Phuket a good choice for a honeymoon resort ? 2- also if we stay in the Sala Phuket for the whole 6 nights would it be easy to make most of the activities u guys did ? 3- I know its a private resort a bit away from the city- life, would you recommend it knowing that the beauty of Phuket is to see most of it and visit all of its beaches and boat tours, activities ( water ) etc.. ? Thanks for a good insight about Phuket.Are there any waterfalls or trekking area. And can we get Vegetarian thai food. Vegetarian food is easy to find in Phuket. Such nice pictures here. Nice to see people exploring all of Phuket and not just Patong. Will share this. I have been in Thailand for 3 months but I haven’t come to Phuket yet. 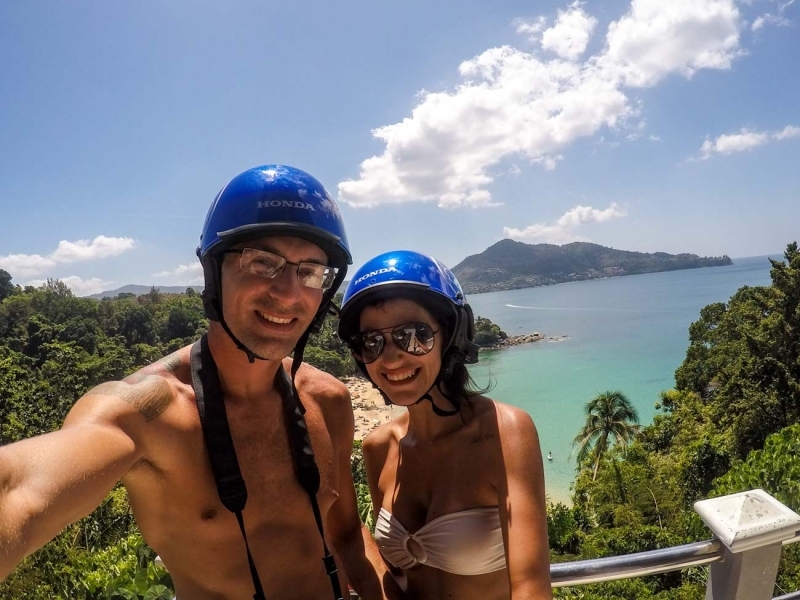 Thanks for your wonderful post and I realize that Phuket is so gorgeous! I definitely come to Phuket if I can come back to Thailand! 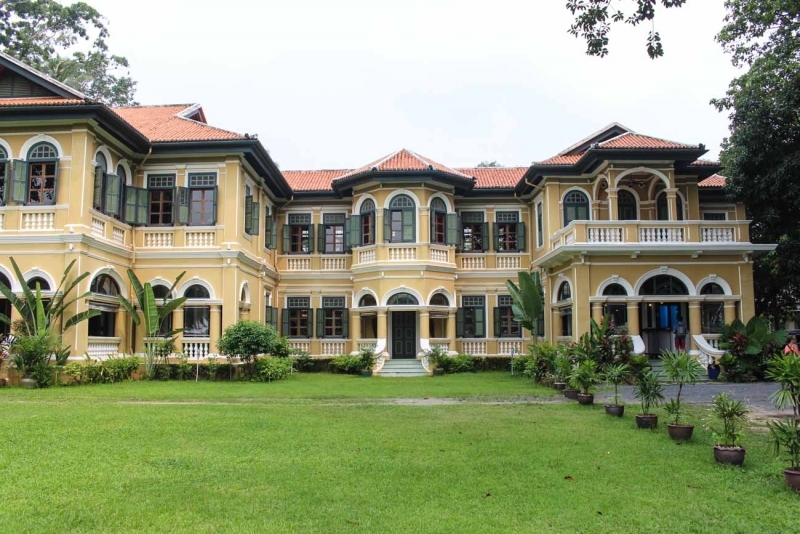 I’ve never been to Phuket Town because I always think to myself “it’s too far and there’s no beaches nearby”, but wow the colonial buildings look awesome and remind me of Goa. Do you think it’s worth spending a day or two there or will a day trip be enough? ps. highly recommend the tour we did.